The County of Macomb maintains this web site as a public service. The County adheres to the objectives of informative, timely, and accurate Internet communications. The information contained on this web site is subject to periodic updates, deletions and additions without prior notice. While accuracy is always a goal, the County assumes no legal liability or responsibility with respect to the completeness and accuracy of the information, including any errors or omissions. When used, the web forms require users to provide contact information (such as email address, name, address, telephone number) so that we may directly respond to your request. Under no circumstances is this information shared with third parties unless legally required to do so in connection with law enforcement investigations or other legal proceedings. The County of Macomb seal is the property of Macomb County and its reproduction and use is strictly prohibited.  The purpose of the Macomb County website is to provide information about county services, attractions, and officials. The County's policy is designed to keep the links on this site consistent with this purpose. Links and pointers are solely for the user's information and must be consistent with purpose of the site. Links to external websites (leaving the county website) are subject to privacy and security policies of the owner of the external website. When linking to an external website, another browser session will open, leaving the county site open in the original browser with "Macomb County" in the title bar. The link does not represent an endorsement for the external site's product, service or the entity in general. The county is not responsible for content or the availability of any external resource. It links to local, state, federal, tribal, or other government agencies. It links to sites that receive direct funding from the county or have a contract with the county. It links to sites that provide software or utilities needed to fully use the information on the county website. It links to additional information about government services. Arts, cultural, sports, festivals or similar events that are sponsored by the county or have a contractual relationship with the county may have link on the County website. The County website will not link to any site owned or managed by a political party, candidate, or special interest group or are of a political nature seeking to support or defeat a candidate for elective office or ballot proposal. No advertising is permitted on the County website. The source of all news on the site will come from an authorized press release issued by Macomb County. The County website will not link to news stories published in any newspaper. Permission to link to the County website is not required, but be aware that the page you link to may change without notice. Sites linking to county web pages should periodically verify those links for accuracy. Any link to the County website does not imply a relationship or expressed relationship with the county. Users may freely print any information that they obtain from the County Web site for informational or personal use only. All such documents and related graphics are provided as is and may not be modified. Copyright and trademark law protects elements of the County Web site. Records transmitted to this site will be identified, managed, protected, and retained as long as they are needed to meet historical, administrative, fiscal, or legal requirements. Your use of this Web site constitutes your acceptance of these terms and conditions.